Several other split-cycle engines (Scuderi engine and Zajac engine, for example) have been proposed in the past but none have been successful due to detrimental compromises in the thermodynamic cycle (over-compression, charge storage, heat loss and retarded combustion) and the reliance on ultra-fast valves that pose reliability challenges. The Tour engine is the first split-cycle engine to closely emulate the thermodynamic cycle of the 4-stroke engine (integrated cycle) and offers a comprehensive set of solutions. A clean sheet engine has been designed, built and is currently being tested at Tour Engine, Inc.’s new test facility in San Diego. Based on detailed system simulations (GT-Power), first performed by Tour Engine, Inc. and independently confirmed by Wisconsin Engine Research Consultants (WERC, which are a subrecipient of this project), the engine in this project has been designed with an expansion ratio of nearly two times the compression ratio and each cylinder has been fitted with a dedicated cooling circuit to characterize and subsequently minimize the heat losses of the engine. The combination of these two features provides the theoretical basis for significant efficiency gains of the Tour split-cycle over conventional engines. 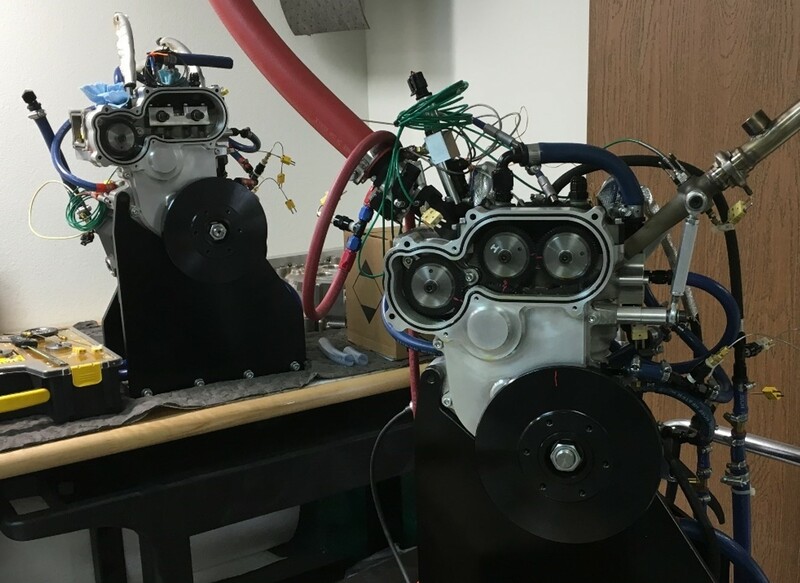 Two 1kW (2 Cylinder 1.3HP) engine prototypes manufactured. 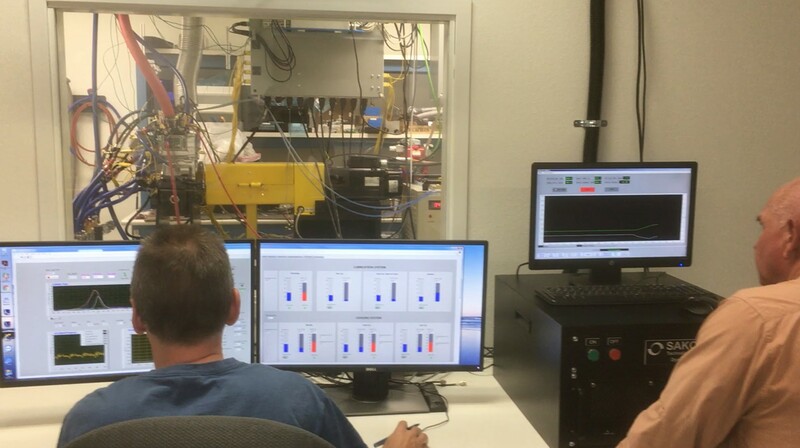 Ongoing dynamometer testing in San Diego produce significant learnings, with over 200 hours of engine testing. The power stroke in the Hot-Cylinder and the intake stroke (of the next cycle) in the Cold-Cylinder occur concurrently. Hence in a pair of Tour engine cylinders, two 4-stroke cycles are being executed at the same time. In this respect, the Tour engine and a conventional four-stroke twin engine have exactly the same number of power strokes per crankshaft revolution. For example, a conventional twin engine will have one power stroke in each cylinder, while the Tour engine will have two power strokes in the Hot-Cylinder and none in the Cold-Cylinder. The advantages of the split cycle approach will be discussed in detail below. As demonstrated from early prototypes and modeling, TEI has built at its R&D facility in Israel two functional prototype engines that implement the Tour cycle. The first prototype, Prototype I, became operational on 2008 and used two identical off-the-shelf 50cc Honda GXV50 engines, one for the Cold-Cylinder and the other for the Hot-Cylinder. Prototype I proved the mechanical feasibility of the Tour engine design and showed for the first time that the crossover valve can be built in such a way that there is very little energy loss due to the transfer of the working fluid from the compression cylinder to the expansion cylinder. A. Design. Two Honda GXV50 engines were connected with the crossover valve positioned at the interface between the two cylinder heads. B. Assembled. Notice that over 85% of the prototype parts are taken from off-the-shelf engines. The second prototype, Prototype II, became operational on 2012 and is based on two identical off-the-shelf 190cc Briggs and Stratton engines. Prototype II was designed primarily as a platform to test, in a modular fashion, various crossover valve designs. This prototype was later modified to implement an over-expanding of the gas in the Hot-Cylinder (as in the Atkinson cycle), and a movie of this prototype being tested in our R&D facility in Israel can be seen here. The Tour split-cycle engine implements a superior thermal management strategy that reduces the magnitude of the two major thermal losses in conventional 4-stroke engines - heat loss to coolant/oil and exhaust energy or enthalpy loss. The heat rejected to the cylinder walls (and absorbed by the coolant/oil) is, to first order, proportional to the temperature difference between the bulk gas temperature and the average wall temperature, where most of the heat is rejected during the expansion and exhaust part of the cycle since the temperature difference by far outweighs the temperature difference during the induction and compression part of the cycle. Since any split-cycle approach, including the Tour cycle approach, separates and assigns the cold and hot portions of the full thermodynamic cycle to separate cylinders, it is now possible to control their respective wall temperatures in order to lower the temperature differences of both the induction/compression and combustion/exhaust strokes. In particular, raising the wall temperature of the Hot-Cylinder noticeably decreases the temperature difference during the combustion/exhaust strokes. Obviously, the wall temperature of the Hot-Cylinder can only be raised within reason to safeguard the proper functioning of the piston ring lubrication and maintaining engine reliability.